We believe that creativity lives in every one of us. Our online Craft School is designed to help you discover the maker in you. 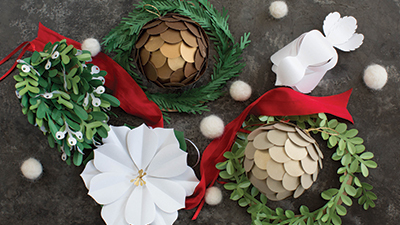 Learn how to make paper flowers, develop your sewing skills, make cute crafts with your kids or pick up some great gift wrapping tips for the holidays. Craft School tutorials are available to everyone, so choose what you want to learn today and come on in! 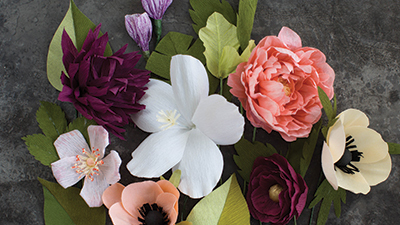 Learn my tips & tricks on how to work with extra fine crepe paper to create gorgeous, simple blooms. 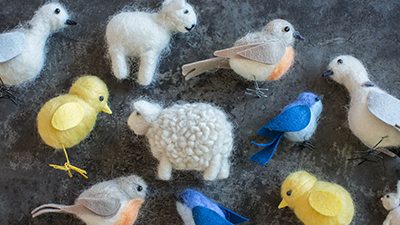 This beginners guide to needle felting is perfect for those who want to dabble in this fun DIY craft. 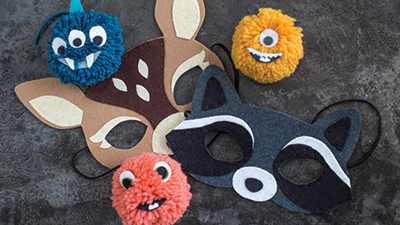 Make fun crafts with the kids as we explore materials and techniques through a variety of projects. 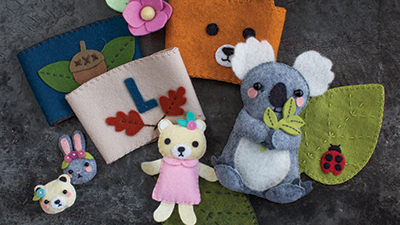 Explore crafting with felt, learning basic stitches and assembly while making projects for gifts or home. 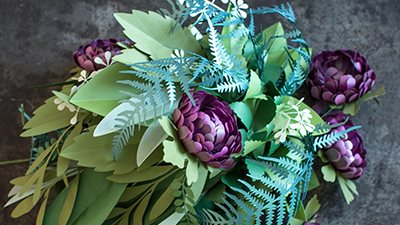 This class will show you how to make gorgeous flowers and botanicals using a frosted paper, SVG cut files and a personal cutting machine. Personalize your holidays with homemade party and home decor, plus gorgeous gifts for friends and family. 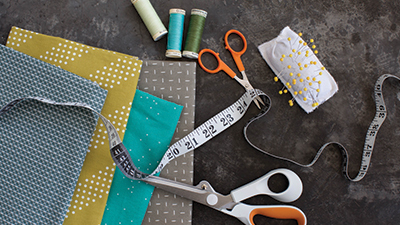 Learn to feel confident when using your sewing machine as we go through basics while we sew great projects. 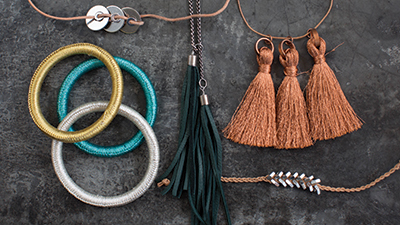 Craft your own style into your jewelry as we start with basic wire and beads then explore other materials. "Lia, I have been so inspired to craft ever since I started following your site. I absolutely love the aesthetic of everything you design - you've modernized crafting into something aspirational, youthful, accessible and above all, FUN!" "I wanted to take a moment to say a HUGE thank you. Your crafts have had a wonderful impact on my year. Your paper cut art, cards, ornaments and flowers have delighted my family and friends this Christmas! I was following your flower patterns for years and when I got engaged I sat right down and purchased a Cricut so I could make every single flower for my wedding. I wanted to say thank you because without all of your work and creativity even a relatively fearless DIYer like myself wouldn't have dared take this on." "Lia, OMG! I am somewhat of a novice to papercrafting but really enjoy it. I must say I am in total love with all your flowers , and I mean ALL. Thank you for your beautiful work and help with putting them together and many ideas and skills. I also can't wait to see everything else you have to offer. I look forward to being your number 1 fan!!!" "I just wanted to thank you for all of your paper flower videos and templates. I have so enjoyed making the crepe paper flowers! You are my inspiration!" "Lia, I joined in December when I found your pine cone elf project and wanted to do them with my daughter’s friends for her holiday party. The kids all had a blast making those for 2+ hours straight. Saturday we’re having the same group do your felt envelopes and stuffed hearts and washi tape heart boxes for Valentine's day. Can’t wait! Joining as a member has made my last few months so fun. Felt is my favorite. Love your projects and can’t wait to see what else you come up with this year!! "